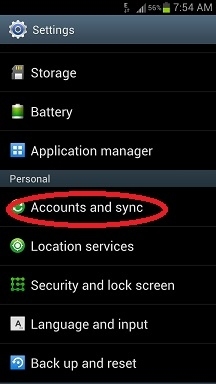 To use the native Google email app (which is different than the GMail app), follow the steps below. You only have to do this once. 4. 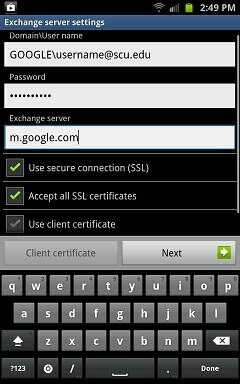 Enter in your full email address as your username, then enter in your Google Apps Mobile device password (NOT your network ID password) for Password. Press Next. 5. Your device MAY prompt with a data-use warning. 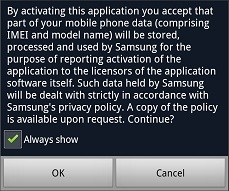 If so, click on OK to proceed with the setup. 6. Verify that your full email address appears under Email address. For Domain, enter in GOOGLE. For User name, enter in your full email address. Your password should already appear as you entered it on the previous screen. Press Next to continue. 7. 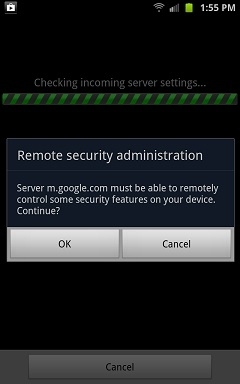 The Android device will attempt to find the server, but it will fail, prompting you to manually enter in the server name. Enter in m.google.com and press Next. 8. You may receive a Remote security administration pop-up. Click OK to continue. 9. 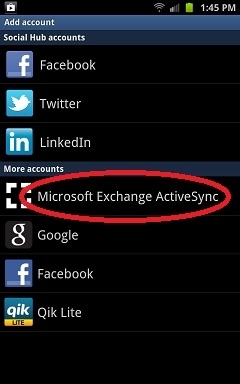 Verify your account options and click on Next. 10. 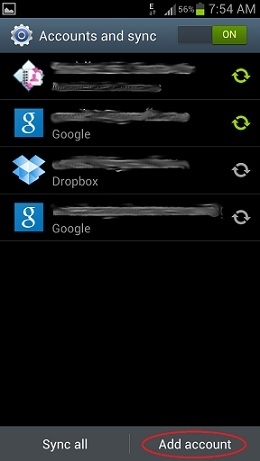 Name your account SCU Google Apps (or whatever you choose to name it) and click on Done. Synchronization will start within a few seconds. 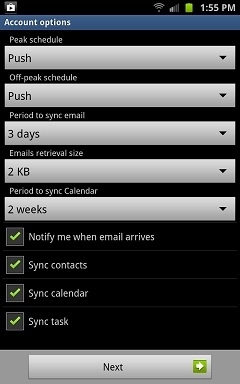 Just launch email, calendar or contacts from your device's home or applications screen.